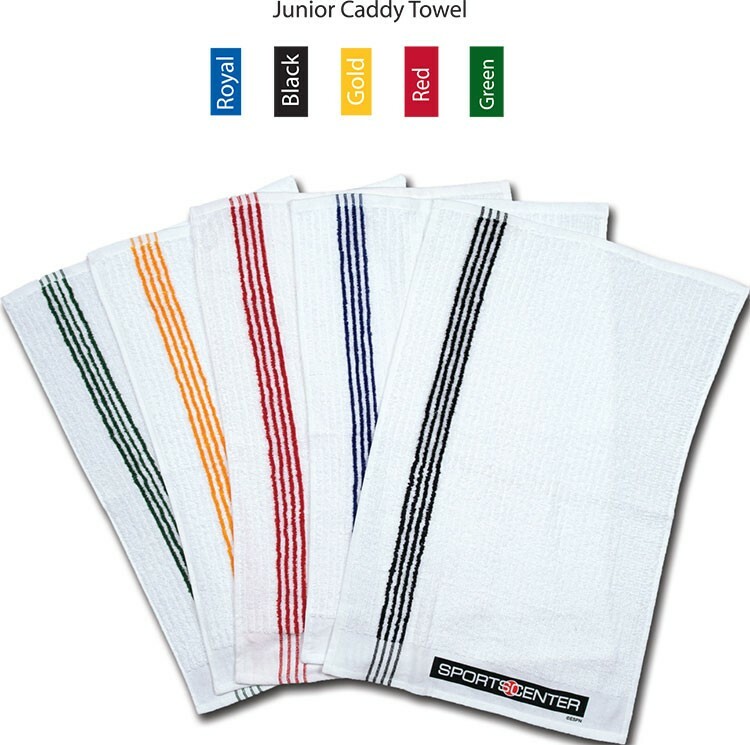 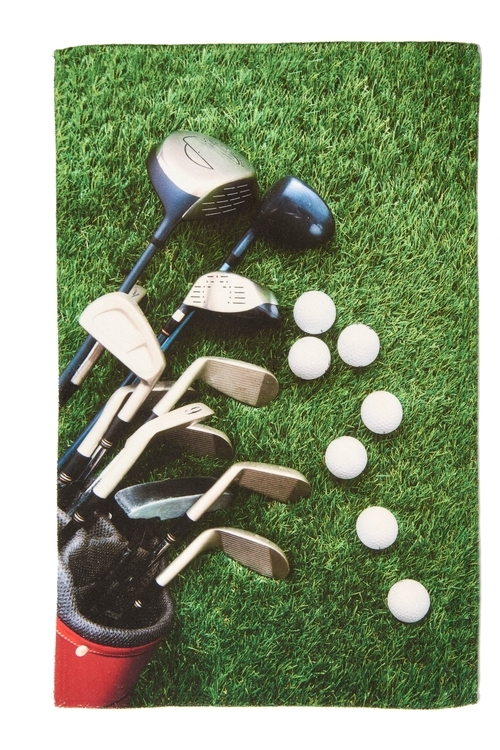 Junior Caddy Towel 16" x 24"
Our iCool Cooling Towel is 17” x 26” and is designed to absorb up to eight times its weight in water and keeps you cool during any demanding activity. 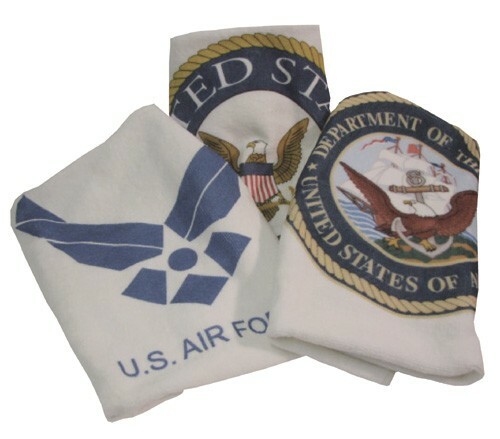 Our towel is chemical-free and machine washable. 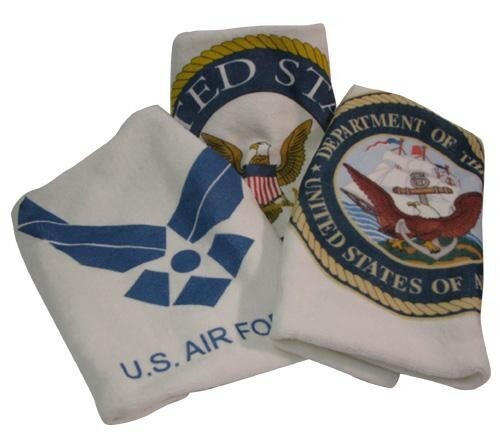 Available in blue only and is imprinted in one color: black, white, navy or reflex blue. 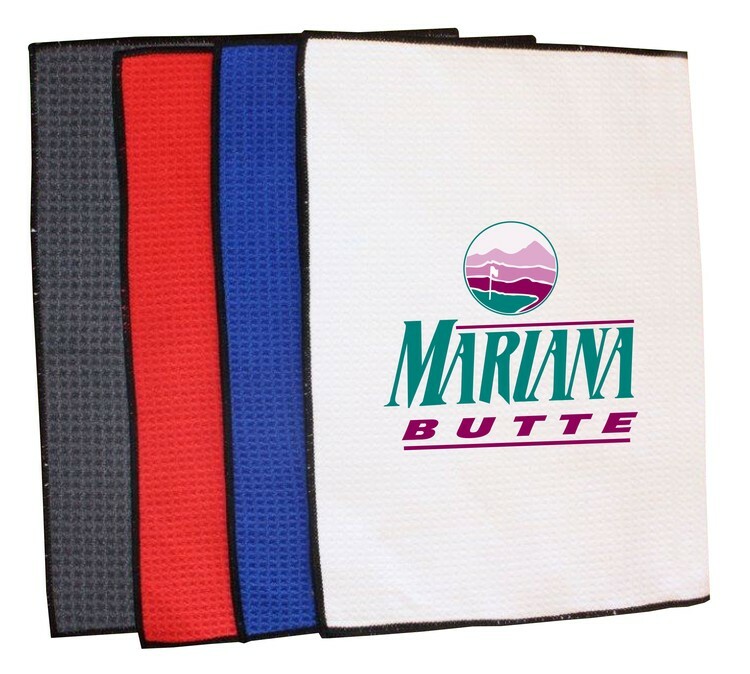 Minimum order of 50 pieces applies. 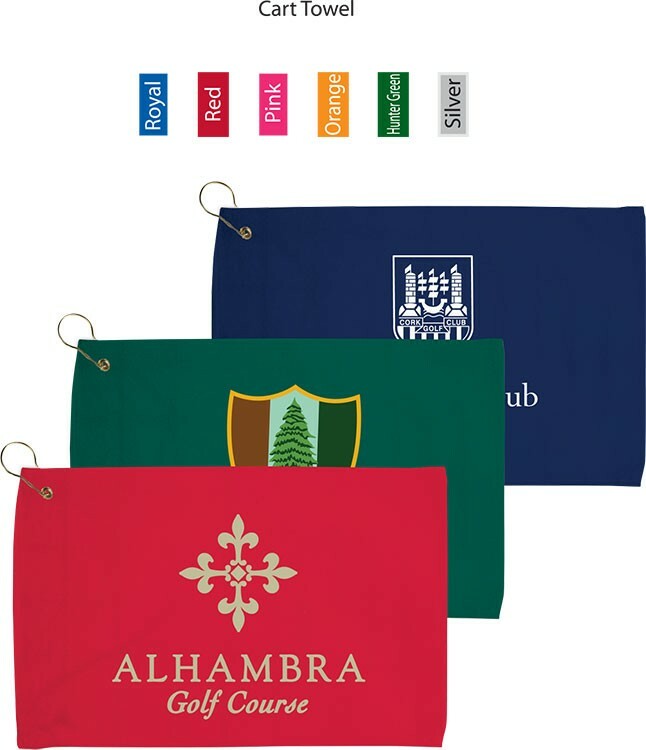 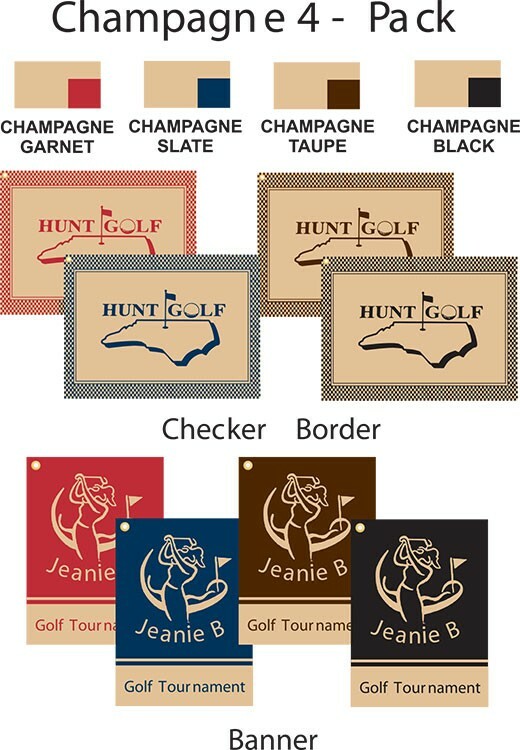 Custom Jacquard woven towels are a must for any pro shop. 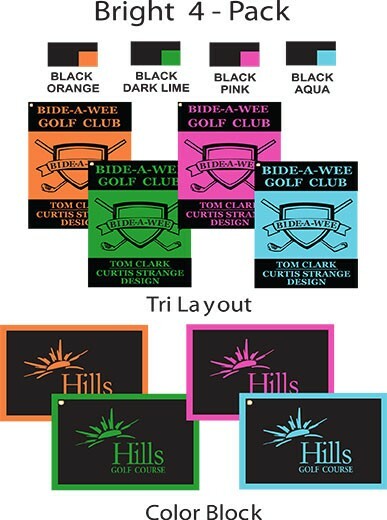 Highlight your club name and logo in contrasting colors with our new Navy Blue style. 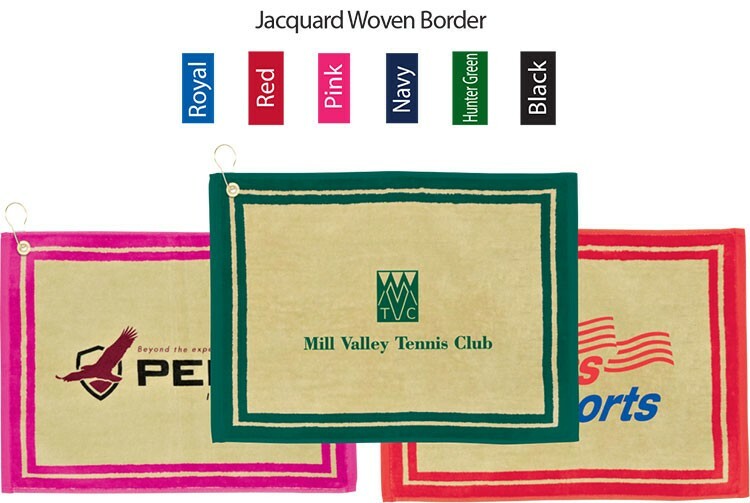 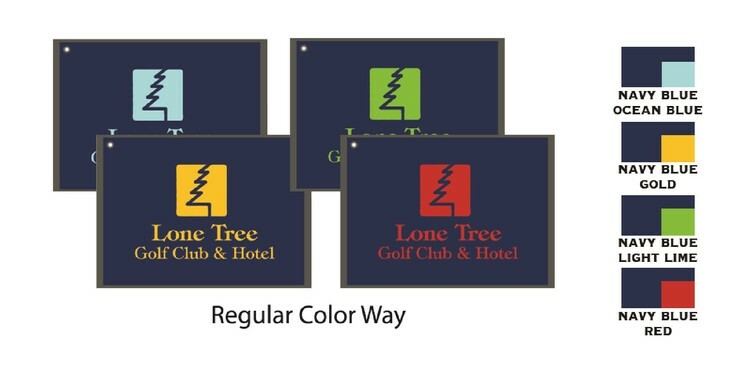 Receive equal quantities of each of these four color combinations; ocean blue, navy blue, light lime and red.